Uncertainty about the future of health insurance options and concern about the ability of Affordable Care Act (ACA) marketplaces to offer adequate competition and choice have spurred states to look for new coverage approaches. Among the innovative strategies states are proposing are allowing consumers to buy into state Medicaid programs and developing state-specific coverage options within the ACA’s framework. A new strategy some states are examining is to allow individuals who are not currently eligible for Medicaid to buy into the program. Cindy Mann of Manatt Health recently explored this proposal at a session at NASHP’s annual health care policy conference. She outlined some of the key issues that states need to consider to implement this approach. One approach allows states to offer Medicaid as a new “public option” product in their ACA marketplaces, which could help increase affordability and consumer choice, particularly in areas where there are a limited number of participating plans. To be offered on the marketplace, a Medicaid plan would need to match marketplace coverage standards and be certified as a qualified health plan. Some session attendees wondered if a state could “deem” a Medicaid plan as qualified, particularly in bare counties where no insurance product was available. 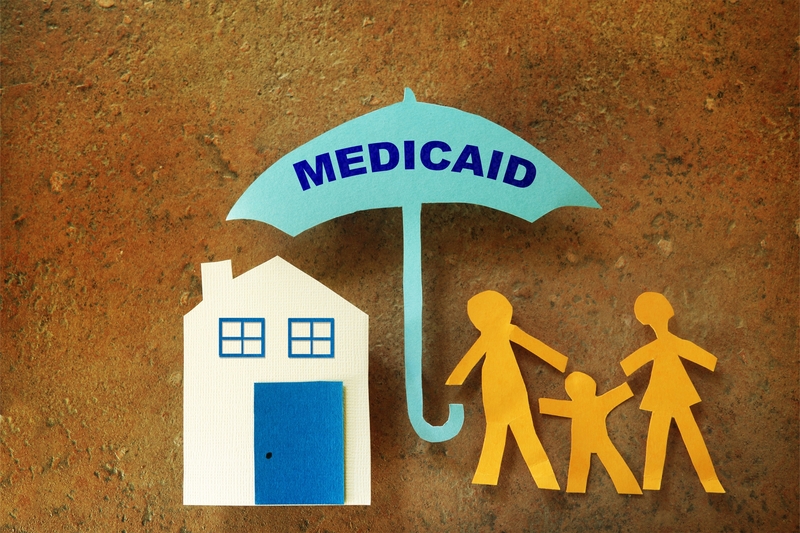 Another way states could leverage Medicaid to expand coverage would be to permit individuals with incomes above current Medicaid eligibility levels to buy into the program. States could choose to offer this Medicaid buy-in to consumers either with or without subsidies. However, if they offered subsidies, states would need to seek federal approval through a 1332 Waiver or obtain a Basic Health Program (BHP) state plan amendment. Also, in order for the Medicaid plan to be affordable, the benefit package may need to be less robust than traditional Medicaid benefits. States would have the flexibility to set plan rates. In some states, it may not be politically feasible to broaden the scope of Medicaid, even if individuals are required to pay premiums for coverage. Some states have already moved forward on these concepts . In early 2017, Nevada state Rep. Mike Sprinkle introduced and the state Legislature passed AB 374, which offered a public option on the marketplace. The bill directed the state to contract with insurers to provide a commercial health plan based on Medicaid (though without non-emergency medical transportation coverage), and allow eligible individuals to use ACA’s tax credits to purchase this coverage. While the proposal may have required both a 1332 and a Section 1115 Medicaid waivers, the bill was ultimately vetoed by the governor. If re-elected, Sprinkle indicated he will reintroduce the proposal. In Minnesota, a bill was introduced in January 2017 that would have allowed individuals with incomes above 200 percent of the federal poverty level (FPL) to purchase coverage through MinnesotaCare, the state’s BHP, and they would have received a tax credit subsidy if eligible. The bill did not move forward in the state Legislature. In Massachusetts, a provision in a recent bill that passed the state Senate in November proposes to allow any individual to purchase coverage through the state’s Medicaid program. On the federal level, Sen. Brian Schatz (D-HI) and Rep. Ben Ray Lujan (D-NM) in October introduced the State Public Option Act in the Senate and the House, which would allow states to create a Medicaid buy-in program for all residents earning any income level who are not currently eligible for the program. Idaho did not implement the ACA’s Medicaid expansion, but the state has held many meetings since passage of the ACA to explore alternative options to provide coverage to low-income individuals. Most recently, and as discussed at a NASHP conference session, the Governor’s Health Care Advisory Panel has proposed the Idaho Health Care Plan, designed to both stabilize the individual insurance market and offer coverage to some uninsured individuals. Specifically, one aspect of the plan permits working individuals with taxable income below 100 percent of FPL to purchase subsidized marketplace coverage. The state estimates that 22,000 of the 78,000 uninsured residents with incomes under 100 percent of FPL would be able to purchase coverage. The other component of Idaho’s proposal creates a new Medicaid Complex Medical Needs program that allows adults and children with certain complex health conditions with incomes up to 400 percent of FPL to be covered by Medicaid. Individuals would qualify if they were not eligible for Medicaid and did not have access to affordable employer coverage. The state anticipates that moving individuals with high-cost care needs to Medicaid could reduce premiums in the marketplace and would offer these individuals more comprehensive coverage to meet their needs. The draft waiver indicates that the program would cover individuals in need of ongoing medical support for genetic conditions such as hemophilia or cystic fibrosis as well as individuals with end–of-life care needs. Most enrollees with incomes above 150 percent of FPL would be required to pay premiums for this coverage based on a sliding scale. The two-pronged plan would require federal approval through both a 1332 waiver and a Section 1115 Medicaid waiver. The state held public hearings in December 2017 and is seeking public comments through Dec. 15, 2017. Idaho’s goal is to implement the plan in mid-2018. Also in 2018, while there may be new efforts in Congress to modify or repeal the ACA, some states are likely to continue to pursue their own options to provide health coverage to residents. NASHP will continue to monitor and share information about these emerging state health policy proposals.